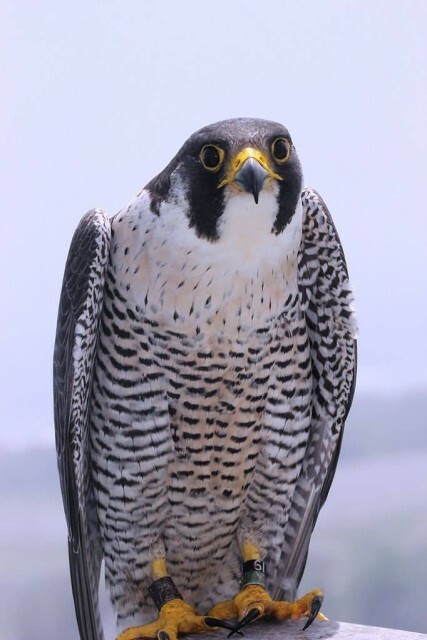 The peregrine falcon also known as the peregrine and historically as the duck hawk in North America. A large, crow-sized falcon, it has a blue-grey back, barred white underparts and a black head and “moustache”. The females peregrine falcon being considerably larger than males. 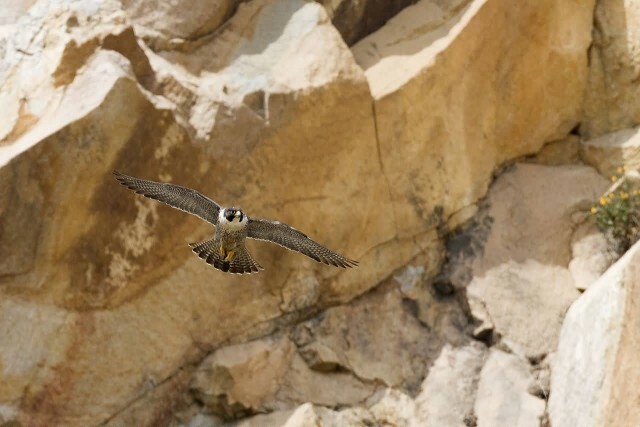 The peregrine is the fastest member of the animal kingdom with the speed of 320 km/h. 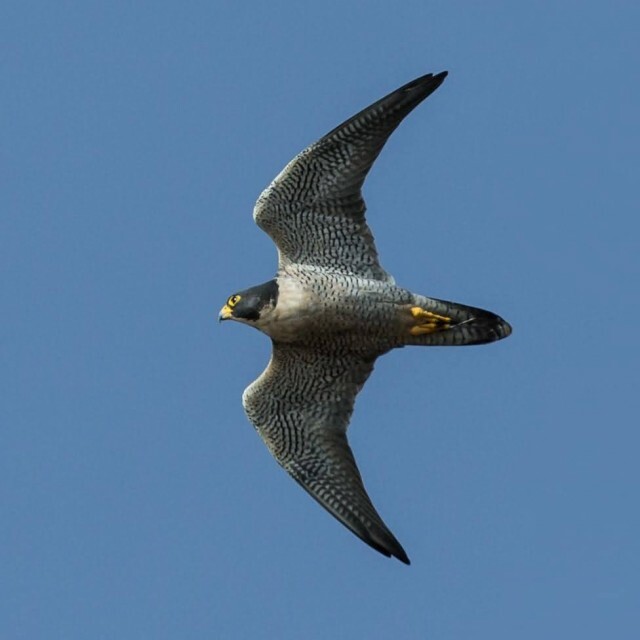 The highest measured speed of a peregrine falcon is 389 km/h. It can be found nearly everywhere on Earth, except extreme polar regions, very high mountains and most tropical rainforests. The peregrine falcon feeds almost exclusively on medium-sized birds such as pigeons and doves, waterfowl, songbirds and waders. Next story Which Is The Longest Hiking Trail In The Rocky Mountains?